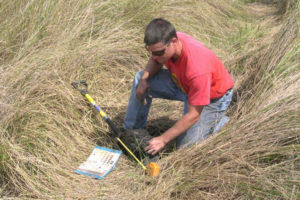 Hydric Soil Assessments: Hydric soils are primarily used as one of the components of wetland delineation. Efficient assessment of soils can enable accurate delineation of wetlands and reduce review time with regulatory staff. The USDA, NRCS currently recognizes 44 Hydric Soil Indicators and four Test Indicators in “Field Indicators of Hydric Soils in the United States”. Soil forming processes: parent material, time, climate, topography, and organisms result in the soil layers that we observe today. Wet soils develop certain observable characteristics that, if near enough to the soil surface, provide evidence that the soils are wet during the rainy season, regardless of where the water table might be on any given day. Richardson is an expert in identification of hydric soil indicators and soil forming processes. 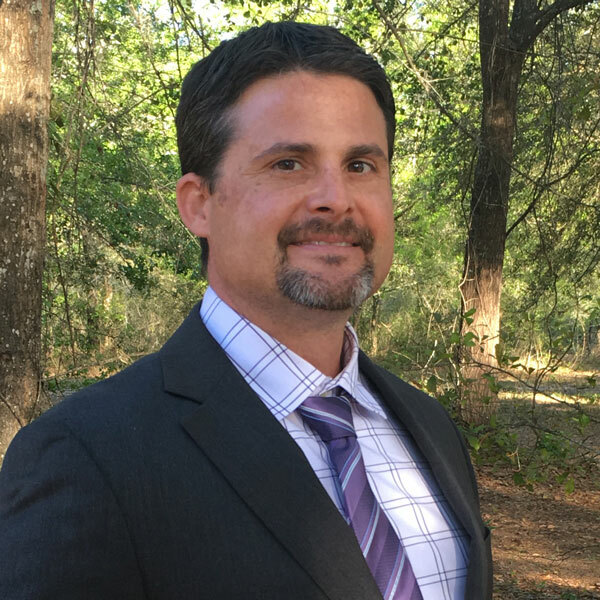 He has completed over 1,000 site evaluations in the southeast regarding the presence of hydric soil indicators. Seasonal High Saturation: Accurate seasonal high saturation determinations are critical for proper operation of stormwater systems, septic systems, and construction design. Seasonal high saturation is often the starting point when assessing development of a site and getting this wrong can lead to substantial project redesign. The seasonal high saturation or seasonal high water table is the depth in the soil where saturation has occurred for a sufficient duration to cause soil characteristics consistent with anaerobic conditions. This point in the soil is characteristic of the water table during the wet season of a normal rainfall year and is not saturated most of the time. However, during above normal rainfall periods the water level can exceed this point for relatively short durations. Similar observable characteristics used as indicators of hydric soils are also used to identify the seasonal high saturation. If the characteristics are greater than the depth required to meet a hydric soil indicator, then the characteristic provides evidence of the seasonal high saturation. Subsurface Investigations: Unsuitable or unstable subsurface soil materials can compromise building foundations and result in failure of septic systems. These materials are relatively common and include soils with high organic content (e.g., muck), shrink-swell clays, and buried debris. Soil borings completed to a depth of 72 inches are generally sufficient to identify unsuitable materials or abnormalities in soil formation. 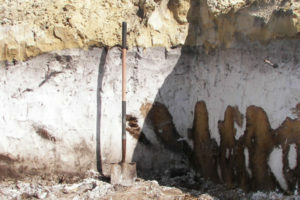 If identified, remediation techniques to ensure successful project execution, will be provided. 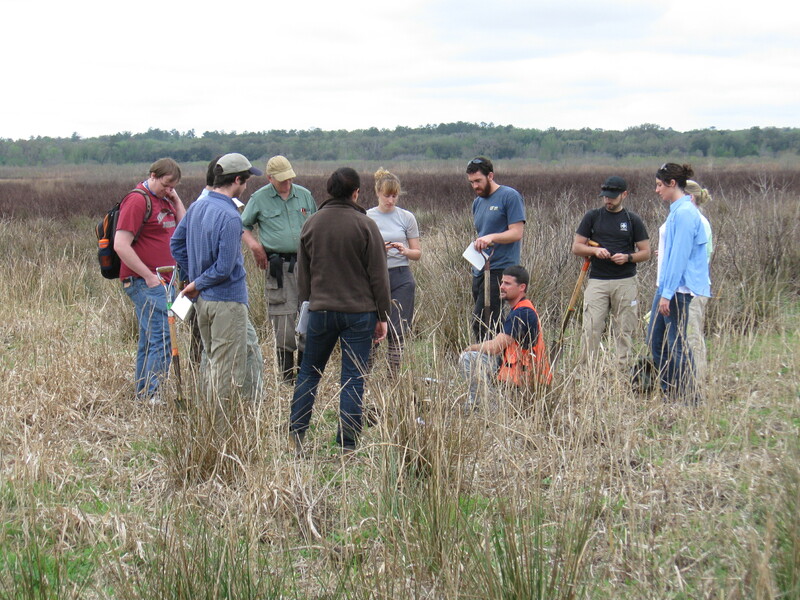 Formal Wetland Delineation (State and Federal Methods): Determining the extent of wetlands requires an understanding of natural vegetation communities, hydrology, soils, and plant identification. 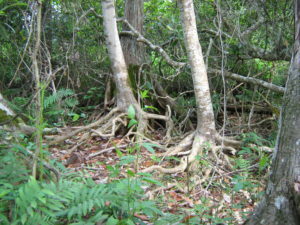 The state and federal methods for wetland delineation both require and evaluation of the plants, soils, and hydrology, however, the state method only requires that two of the three are indicative of wet conditions. The state methodology is detailed in Chapter 62-340 Florida Administrative Code and is implemented by the Florida Department of Environmental Protection. The federal method is detailed in the 1987 Army Corps of Engineers Wetland Delineation Manual and the Atlantic and Gulf Coast Regional Supplement. Richardson previously worked with the St. Johns River Management District and provided soil and wetland delineation training to staff from Brevard County north to Nassau County and supported FDEP wetland delineation trainings. 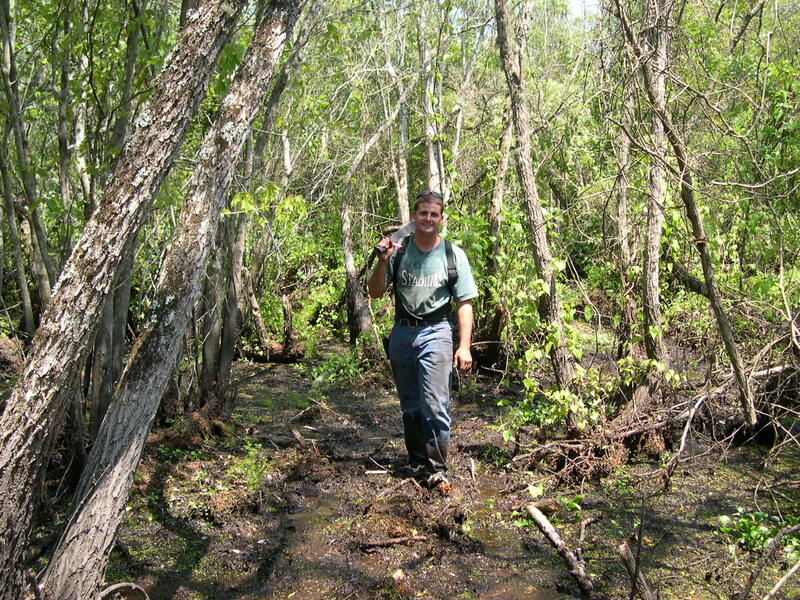 Richardson can complete formal and informal wetland determination accurately and efficiently. Forensic Wetland Assessments: Oftentimes a land owner may clear property or dig ponds without considering that there may be regulatory restrictions. When the vegetation or soils have been substantially altered a forensic wetland assessment may be required. A forensic wetland assessment may require digging trenches to assess buried soil characteristics, there may be adjacent property that can support an assessment, and a review of aerial imagery and other remote sensing data is typically needed. 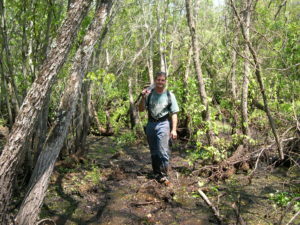 Forensic wetland assessments are common when a regulatory agency is pursuing a compliance action against a land owner. Compliance: Compliance can take many forms and require multiple follow-up actions. Oftentimes remaining in compliance with permit conditions requires some action, such as monitoring, recording conservation easements, or implementation of mitigation. Sometimes activities are completed that may have required a permit and the regulatory agency is pursuing compliance action against a land owner. In either case, we are here to help. Richardson can complete monitoring actions, assist in the recording of conservation easements, and complete forensic wetland assessments to support our clients’ needs. Permitting: Local, State, and Federal agencies may regulate activities from land clearing, to impacting wetlands, to constructing docks. We will help our clients through the permitting process and coordinate with regulatory agencies to try and identify and minimize hurdles. Mitigation: When adverse impacts occur to wetlands mitigation is typically required. We can develop simple to complex mitigation plans to fully address our clients’ needs. Mitigation may include preservation, enhancement, restoration, or creation of wetlands or the purchase of mitigation bank credits. Monitoring: Monitoring may be required by a permit condition, to support mitigation success, or as part of regional water supply studies. Our monitoring efforts focus on identifying soil characteristics and vegetation species. Monitoring may be quantitative or qualitative and will be completed to the specifications required. Monitoring reports will be prepared consistent with any regulatory criteria and will be provided to the client and/or regulatory agency. Hydric Soils: Many environmental scientists have limited expertise regarding identification of hydric soils. 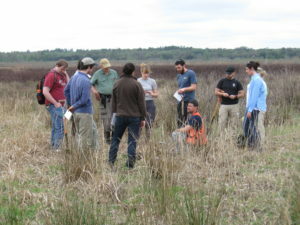 Richardson has provided soils training to the public and private sector from central Florida to South Carolina. Richardson removes the mystery of soils and helps students understand how and why wetland soils form. Richardson will tailor a soil training to fit your needs. Contact us today! Wetland Delineation: Richardson has been involved with many wetland delineations in very complex situations. Have permanent hydrologic alterations resulted in the loss of wetland conditions? Has fire suppression allowed wetland species to encroach into the upland community. Richardson can provide entry level to advanced wetland delineation training tailored to your needs. Contact us today!